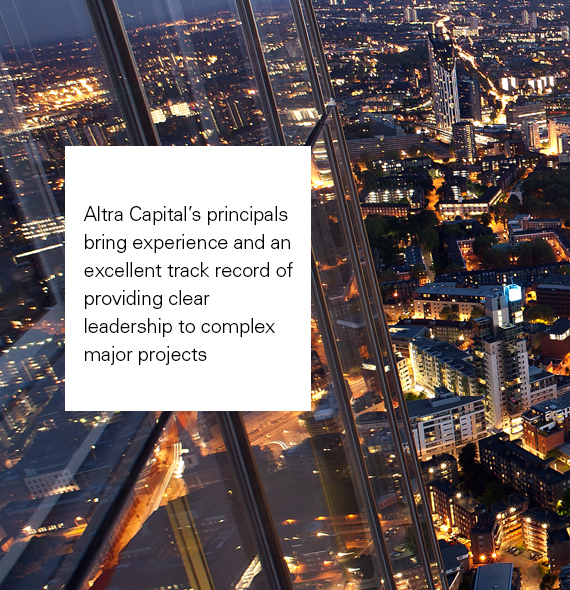 At Altra Capital the Project Manager will have a good grasp of the roles of the technical, financial, legal, and operational requirement of a project, and is able to take a lead in identifying and agreeing the scope of work. The briefing process is the most important and often the least understood feature of successful infrastructure and commercial development. Where long-term investment and operational commitments are to be entered into, this is critical. The Project Manager will understand the totality of a client’s objectives and will encapsulate these such that the optimum outcome can be reached. Altra Capital advises governments, financiers and investors, private sector clients, Operations and Management companies and owner-occupiers of facilities.